I have noticed a cute yellow chick ad in one of the buses that I saw along EDSA weeks ago and that chick is the cuteee face of Burger King's new product- Burger King Chicken Fries. Do you like chicken and fries? Can't decide what to order in your next food trip at Burger King? Why don't you try Burger King Chicken Fries?! If you are both a chicken and fries fan then this new product was made for you! 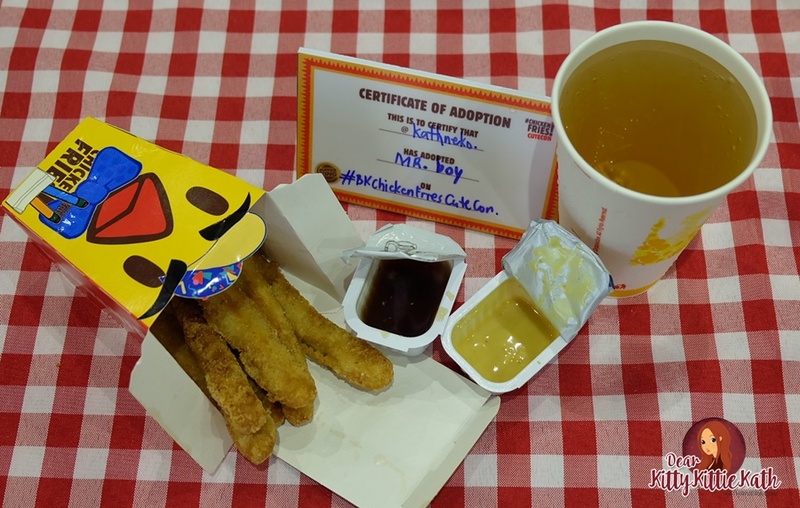 Last October 21, I finally saw the cute little chick in person at the Burger King Chicken Fries Cute Con. 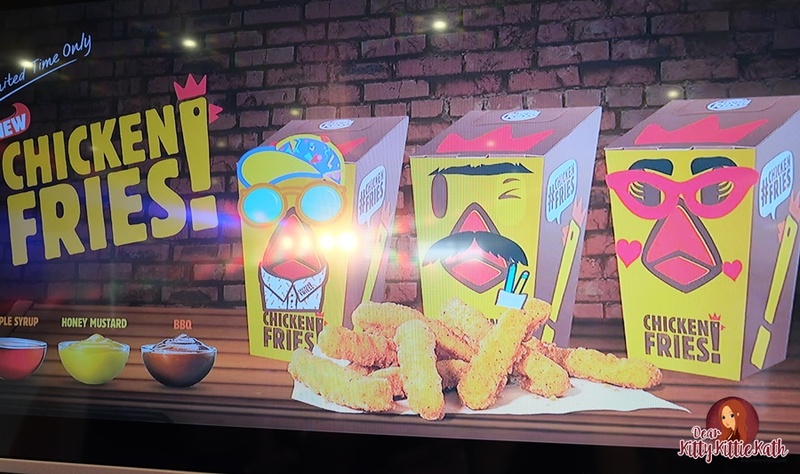 The event was held at Burger King Connecticut Branch and the treat that day was unlimited chicken fries and other food offerings from Burger King. Have you tried Burger King Chicken Fries? Read more below why you should! Burger King’s Chicken Fries is a snack made with white chicken meat cut into finger sized fries. Crisp, tender, and oh so juicy, these fries are coated with a light breading that gives it its goodness that you instantly crave for! Burger King's Chicken Fries' shape is great for dipping. It's a perfect snack on the go and for the busy individuals who wants to eat a light snack while working in front of their laptops. There are three flavors of dip to choose from. If you are feeling adventurous, try out their Barbeque dip, for days where you want to keep it tangy and sweet, pair your snack with Maple Syrup, and for those who are just a fan of the classics, the Honey Mustard dip is for you! Burger King’s Chicken Fries come in a 6 piece value at 119 pesos and a 9 piece value meal at 149 pesos. The meal comes inclusive of a drink and thick-cut fries and is available for a limited time only! 1. 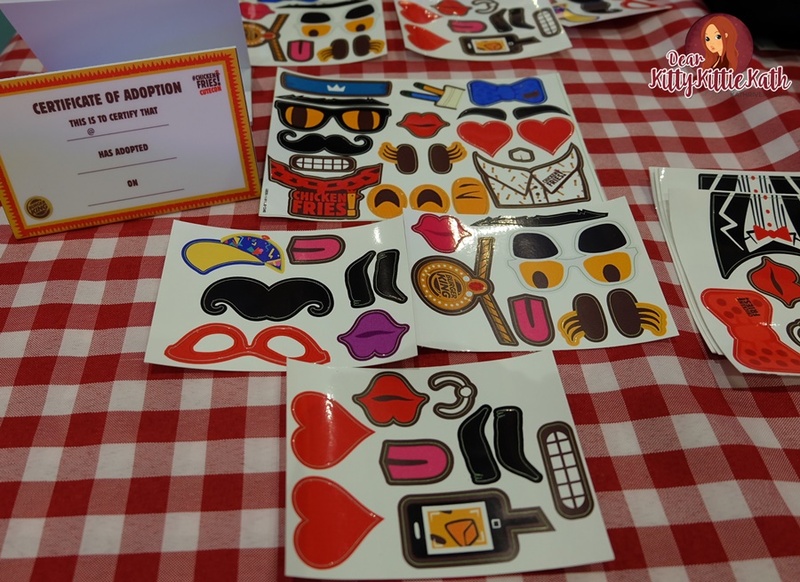 Guests were treated to an afternoon of fun and activity like designing your own chicken fries box. Stickers were made available to give each person’s box a unique look and to add a bit more quirk. Stickers to make the chick cuter! 4. 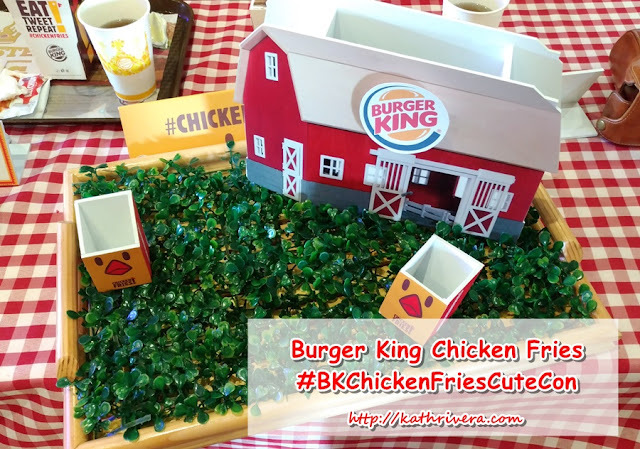 Burger King patrons will also be able to enjoy making their own version of this little chick. Each order of Chicken Fries come with stickers for decorating to give you the chance to make your own Burger King Chicken Fries character. 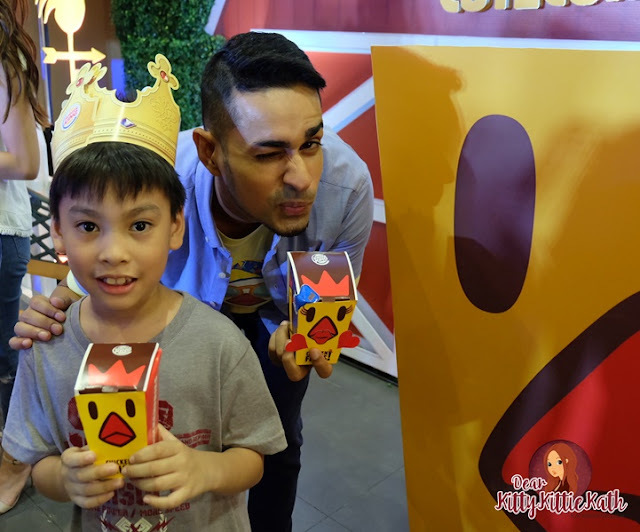 Kenzo with Sam YG holding their cute boxes of chicken fries! Burger King Chicken Fries is offered for a limited time only so I'm telling you now to head on over to your nearest Burger King branch and enjoy Burger King’s new Chicken Fries. It's a perfect snack to share with your family and friends. Don't forget to order it with fries and a refreshing drink. Have you tried Burger King's Chicken Fries? 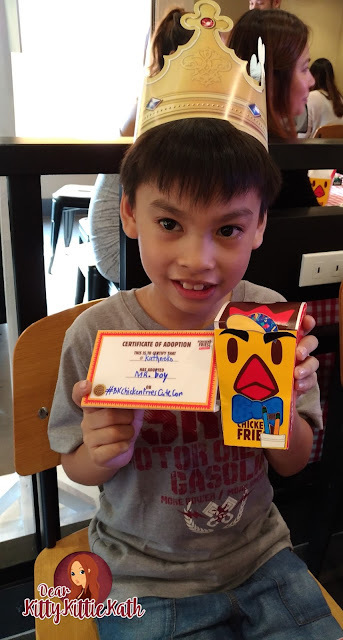 If yes, share the cuteness of your chicken fries character with friends or share it online using these hashtags #ChickenFries and #BurgerKingPH!